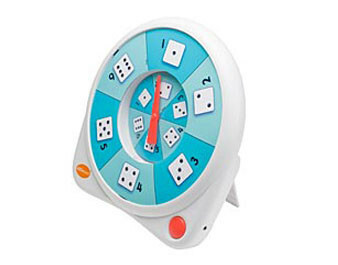 The switch-activated All-Turn-It Spinner, with built-in external switch jack, enables random selections for choosing groups or playing games of chance like bingo. Also a fun alternative to rolling dice. Requires two C batteries (not included). Create your own templates to use year after year with the All-Turn-It Spinner. 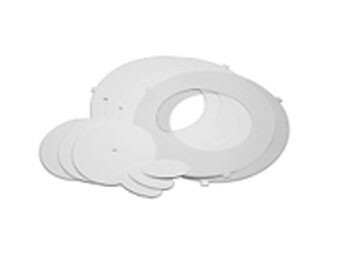 Includes 20 heavyweight paper overlays, clear plastic overlay protector and instruction book. Create hundreds of classroom activities with these blank overlays. 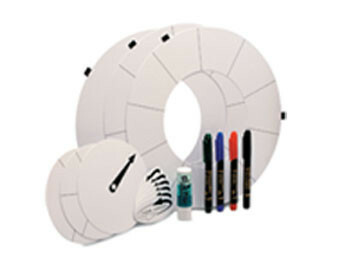 Includes three reusable inner and outer overlays with write-on/wipe-off surface, four colored pens and more. Reusable vinyl stickers for creating your own overlays. 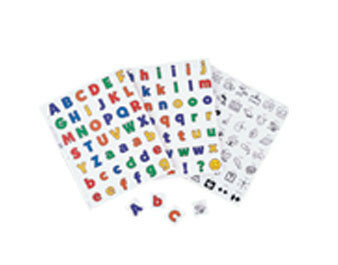 Cards are three-hole punched for quick and easy storage. 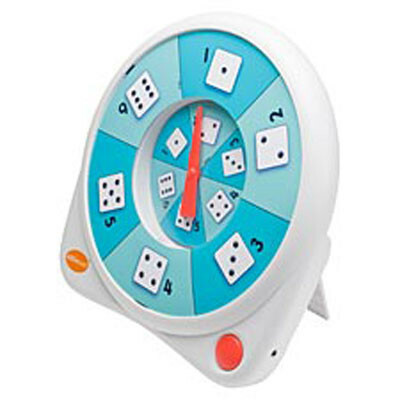 Includes ideas for creating learning activities with the All-Turn-It Spinner.